Flu is an unpredictable virus that can cause mild or unpleasant illness in most people. Certain people are more likely to develop potentially serious complications of flu, such as bronchitis and pneumonia. These people are advised to have a flu jab each year. For otherwise healthy people, flu can be very unpleasant. Most people will recover from flu within a week or two. Front-line health and social care workers are also eligible to receive the flu vaccine. It is your employer's responsibility to arrange and pay for this vaccine. The following is an update issued by NHS England in relation to alleged shortages of the flu vaccine for over 65s. There currently is a phased delivery programme, which has been put in place to manage the fact that there is only one supplier and we want to ensure everyone in the country has a fair chance to access it. There is more than enough stock of the vaccine in circulation and we would encourage practices to ensure patients are informed that there is no any shortage of the vaccination or any danger that they won’t be able to get vaccinated. Getting vaccinated is really important for staying healthy over winter and we would encourage people in the eligible groups to get protected. This is people aged 65 or over, pregnant women, young children, and people with long term health conditions. We want to reassure the public that there will be enough vaccines for everyone who needs one in these groups. For the first time this year, people aged over 65 should only be offered a particular version of the flu vaccine, because it is more effective for them. There is only one manufacturer of this vaccine and delivery of it is being co-ordinated nationally. Practices and pharmacies have received their first batches and more will be delivered in October and early November. This means that not everyone aged 65+ can get their flu vaccine as early in the autumn as in previous years. However, enough vaccines are being produced and there is plenty of time for people to be protected ahead of winter. Patients wanting a flu jab should keep in touch with their GP practice or local pharmacy so they can be booked in for their vaccination at the earliest opportunity. Children eligible for the flu vaccine aged between two and 17 will usually have the flu vaccine nasal spray. If you're a front-line health and social care worker, you are eligible for an NHS flu jab to protect yourself, your colleagues and other members of the community. In the case of health and social care workers employed by private companies, those companies will arrange and pay for the vaccinations. 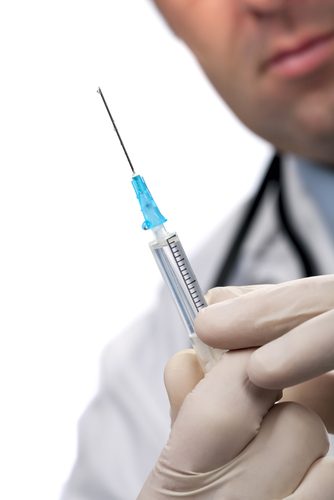 The NHS has this advice on flu vaccination of health and social care workers (PDF, 223kb). If you are the main carer for someone who is elderly or disabled, speak to your GP or pharmacist about having a flu jab along with the person you care for. To find out more about keeping healthy, click here. To find out more about Sexual Health and Family Planning, click here. An Ultrasound Service is provided at the Market Deeping surgery by Mediscan Diagnostic Services, who are an accredited AQP (Any Qualifi­ed Provider) and provider of ultrasound diagnostic services nationally commissioned by CCG’s. As part of the CQC (Care Quality Commission) NHS initiative, they enhance the service offered by the practices, accelerating patient diagnosis and the quality of care. Their clinics are led by consultant Radiologists who are always present with a Health Care Assistant. Abdominal (Liver, Gall bladder, Pancreas, Spleen, Kidneys). Musculoskeletal (Shoulder, Knee, Achilles, Foot). You can see the nurse for immunisations or the doctor. This is a well-baby clinic and children who are unwell should see the doctor at a different appointment rather than come to this clinic. They will not be able to see a doctor for their illness at this clinic. Unfortunately, the community health visitors are no longer able to offer Baby Weighing appointment although your baby will still be weighted during the normal reviews. This Travel Clinic service is only available for the Registered Patients of the Market Deeping and Glinton Surgeries, with the exception of Yellow Fever Immunisations which are available for everyone. Our Travel Clinics offer advice on travel illnesses and a full range of vaccinations. Please note that the practice has no obligation to provide last minute travel clinic appointments and due to demand we usually cannot help at short notice. We strongly recommend that you book appointments at least six weeks before you travel as vaccination does not gave immediate effective coverage. Prior to ringing the practice to book an appointment in our Travel Clinics, patients are asked to complete and submit the Travel Health Questionnaire online to enable us to offer the best advice as possible - please do NOT print the form. The exception to this is if your travel requirements are business related, in which case you should contact the surgery on 01778 579000 as there may not be a requirement to complete the questionnaire. Once you have submitted the questionnaire a member of the practice travel clinic team will contact you within 3 working days to book an appointment. Please ensure that the Practice has your up to date contact details. Within the basic travel service provision are vaccinations for Hepatitis A and B for travel (not occupational reasons) typhoid, tetanus, diphtheria and polio plus all combination vaccines with any of these antigens are provided under the NHS. All remaining travel immunisations are NOT provided as part of NHS services and therefore a private fee is chargeable. The fees charged are based on the British Medical Association (BMA) suggested scales and our staff will be happy to advise you about them when arranging your appointment. A full list of these services and their fees is available here. PAYMENT- The total fee charged incorporates the cost of the vaccine and administering the vaccine. Charges are set by individual practices. 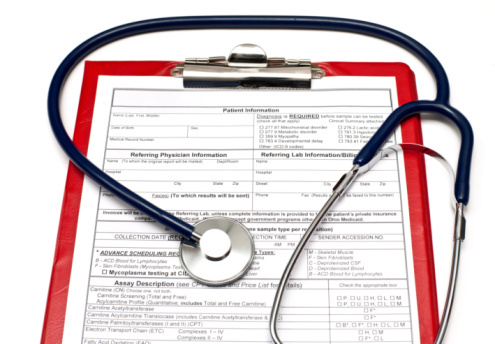 Time spent completing forms and preparing reports takes the GP away from the medical care of his or her patients. Most GPs have a very heavy workload - the majority work up to 70 hours a week - and paperwork takes up an increasing amount of their time. Under the Road Traffic Act 1988, the first doctor providing emergency treatment to a person injured in a Road Traffic Collision (RTC) is entitled to charge a fee. A fee may be levied in respect of each person treated (section 158(2) of the Road Traffic Act 1988). The BMA advises that, since there may be a delay before injuries become apparent, anyone seen within one working day can be deemed to be an emergency. NHS funding does not cover the emergency treatment of injuries sustained following a RTC and a charge of £21.30 is payable for each patient consulted within the first 24 hours following the collision. The Fee is payable at the time of consultation and should be reclaimed from the drivers insurance company. The Deepings Practice has a purpose built level 3 surgical theatre offering community based surgical procedures, provided through the Community Surgical Scheme in Lincolnshire. 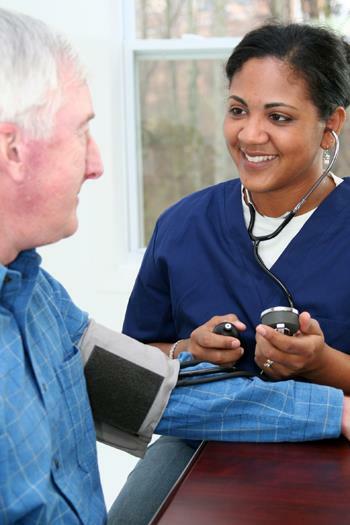 Delivering care that is more accessible and convenient within a relaxing and familiar environment. We also provide Community based Ultrasound Scans. We offer a range of procedures and treatments, all bookable through the NHS e-Referral Service. All procedures performed by suitably qualified General Practitioners and hospital consultants. The new adult hernia service will provide hernia repairs performed by a team of consultants led by Mr Bajwa Consultant Gastrointestinal Surgeon. The repairs will be done via local anesthetic nerve block. Prior to surgery the patient will have a dedicated appointment with the surgeon to discuss treatment options and consent. at another highly visible anatomical site (for example, anterior chest or shoulders) where a good cosmetic result is important to the patient. If the BCC does not meet the above criteria, or there is any diagnostic doubt, following discussion with the patient they should be referred to a member of the LSMDT. Carpal Tunnel Syndrome is a condition where there is increased pressure on the median nerve that crosses the from of the wrist. The nerve runs through a tight tunnel, together with the tendons that bend the fingers. This causes pain, tingling and numbness in the index and middle fingers and thumb (usually). A ganglion is a lump under the skin that contains fluid. Most ganglions form near the wrist joint but they also commonly occur around the foot and ankle. The fluid in the ganglion may come from the joint through a narrow channel. An ingrown toenail occurs when the edge of your nail grows into the skin at the side of your nail, causing pain and swelling. Morton's Neuroma is a condition that affects one of the nerves between the toes. The nerve becomes irritated and compressed, which results in severe pain on the ball of the foot and at the base of the toes. The exact cause is not certain. Trigger finger treatment is surgery to prevent a hand digit sticks in a bent position and sometimes can remain so. It can be painful and annoying. Trigger finger treatment can include giving a steroid injection or a simple operation performed under local anaesthetic, which has a high success rate. Ulnar nerve compression is a condition where there is increased pressure on the ulnar nerve, usually resulting in numbness in your ring and little fingers. Ulnar nerve release surgery aims to resolve this.